I am an undergraduate student, currently in my third year, pursuing Integrated M.Tech (B.Tech + M.Tech) in Computer Science at IIIT - Bangalore. I am a coding enthusiast, a proficient web developer and love to learn and enjoy implementing technology supported solutions to the problems I face. I am seeking summer internships for 2019. I am the primary developer and maintainer of this open source project. CircuitVerse got accepted as a mentor organization for Google Summer of Code 2019. 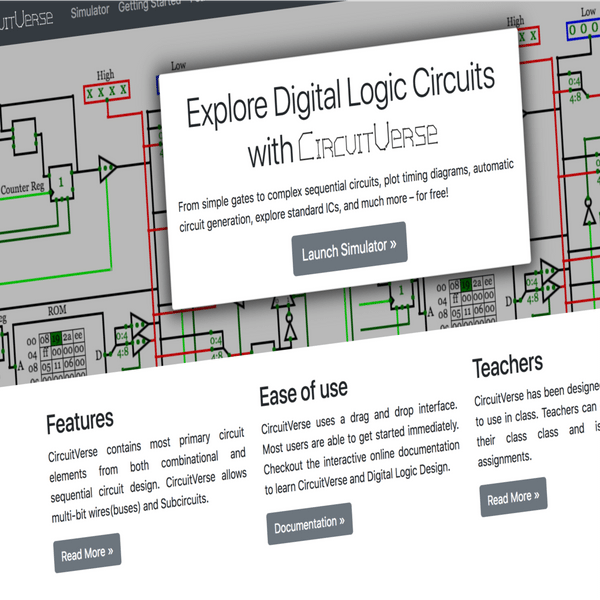 CircuitVerse is an easy to use online digital circuit simulator. It provides a platform to create, share and learn digital circuits. Currently the platform is used by 100s of students everyday from across the world including students from University of Chicago, University of Alabama and Virginia Tech. MOSIP- Modular Open Source Identity platform. MOSIP is an international project funded by world bank which is a global effort to develop an open source foundational ID system (like Aadhar) for governments to use. Homigo is a flat sharing platform to solve rental problems (similar to Airbnb). My internship involved setting up business analytics, third party integrations and meeting several feature requirements. Zense is a Software Developer Club of IIIT-Bangalore. I coordinate with the various teams on several projects. I was the TA for Digital Design Course for the 2017 batch. Others - Computer Networks, Software Engineering, Automata Theory. CircuitVerse is an easy to use online digital circuit simulator. It provides a platform to create, share and learn digital circuits across the world. I am the primary developer and maintainer of this open source project. Currently the platform has over 500 registered users and over 1600 saved circuits. Project under Prof. V N Muralidhara. The project involved finding ways to reduce the cost for BMTC by making the shift schedule more efficient. 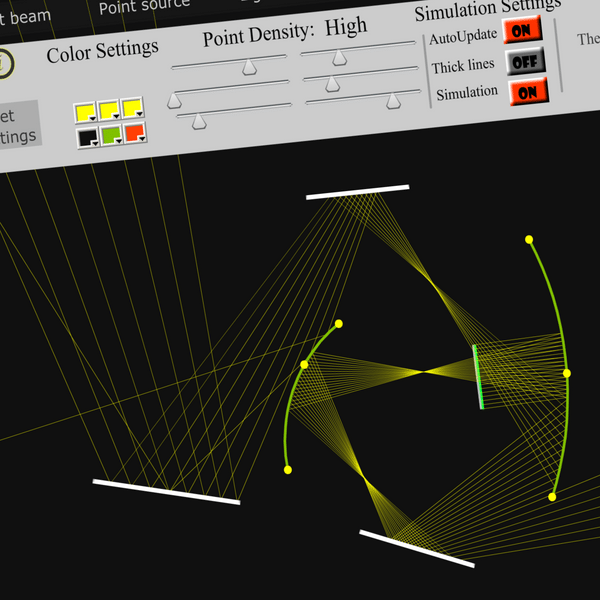 LightXlab is an interactive program to simulate ray optics. It involves solving equations, geometry and physics. The threat of abuse and harassment online means that many people stop expressing themselves on social media. We used Machine Learning algorithms to produce a model which can predict toxicity level of a given comment. 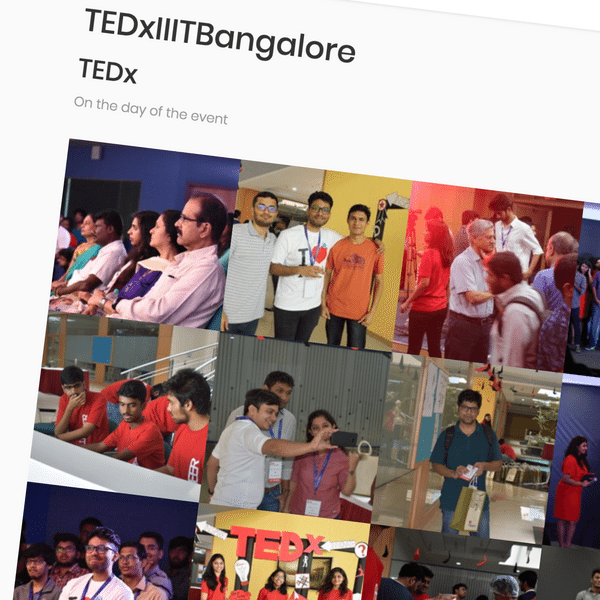 IIIT-Bangalore PhotoGallery was developed to showcase the various events and activities within Campus by the various clubs, organisations and committees. This consists of groups and albums. It supports admins and super admins, allowing differential upload privileges. Codeforces is a competitive programming platform. We used machine learning to predict the rating of the user based on the problems that the user has solved. Classic Othello Game with good AI. 3 Different modes of difficulty, each adding a layer of logic. Implementing trie data structure to efficiently store and retrieve millions of words in a datafile. Text prediction and autocorrect algorithms were implemented over the trie data structure using heuristics such as popularity/frequency of word, hamming distance etc. 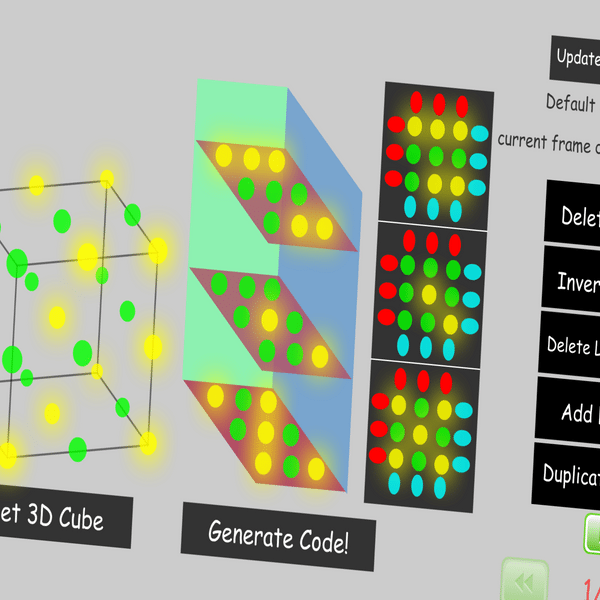 Simple Animation Editor to design LED - Cube Frame Animations. The tool generates arduino compatible C code which can immediately be run using an Arduino. Huffman’s algorithm can be viewed as a variable-length code table for encoding a source symbol (such as a character in a file). The algorithm derives this table from the estimated probability or frequency of occurrence (weight) for each possible value of the source symbol. Mentoring a team @ Zense with the project. 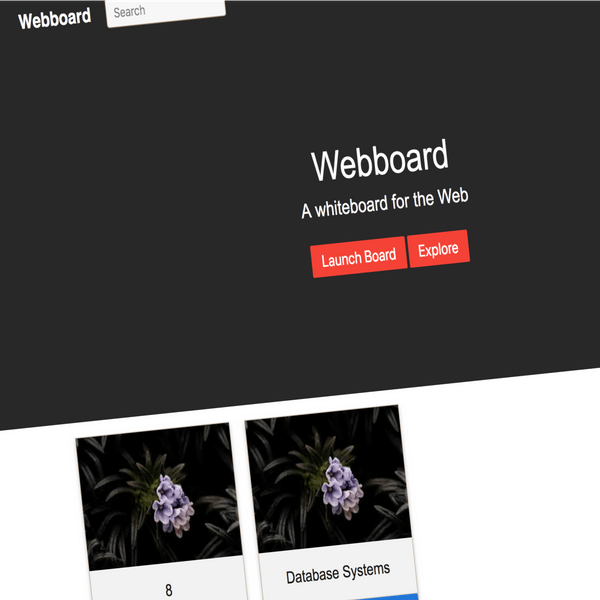 Web Board is an online platform which will allow teachers to use the smart boards in class online. The notes are saved automatically and shared with all students for future reference. Simple interpreter which can do basic math operations. It can also plot basic functions. Attendance is a time-consuming process and tedious administrative work. 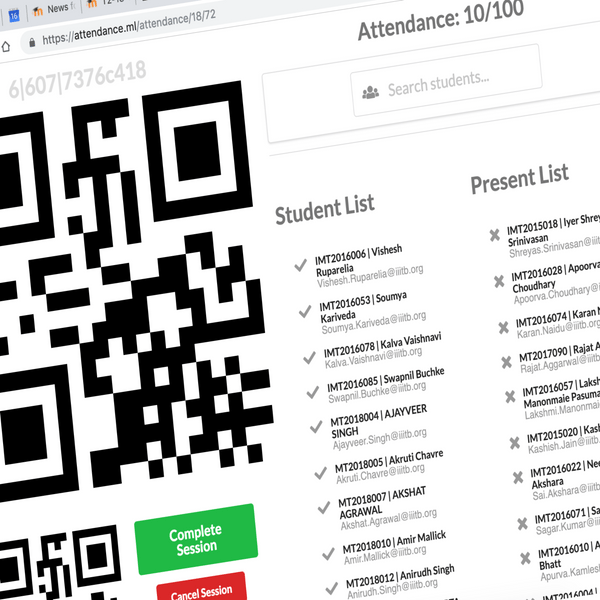 This innovative project aims to solve this issue by using a dynamic QR. Users need to scan the QR code using their mobile phone.